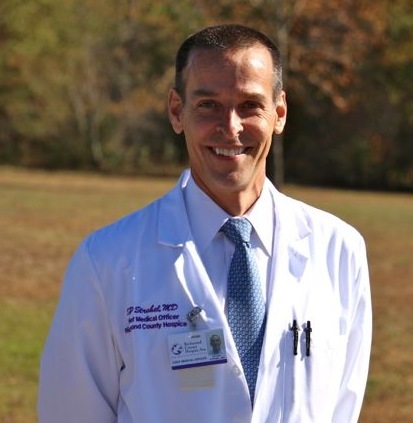 Richmond County Hospice announced that Dr. Steven Strobel has been hired as the new chief medical officer. Strobel is a graduate of the highly rated Ohio State University College of Medicine, board certified in emergency medicine and is trained to deal with acute illnesses and injuries that require immediate medical attention. Strobel did his residency at Summa Health System in Akron, Ohio, and has more than 25 years of experience in the medical field. He comes to Hospice via FirstHealth of the Carolinas, where he held several positions, including medical director of the emergency departments at FirstHealth Montgomery Hospital and FirstHealth Moore Regional Hospital. He also has experience as a faculty advisor at Montgomery County Community College and clinical assistant professor of emergency medicine at NEOUCOM. He is a highly compassionate, religious and caring physician that is a great asset to our company and our communities. Strobel has been a North Carolina resident for most of his career. He and wife, Anne, have seven children. We are going to miss Dr. Strobel immensely here at First Health Moore Regional Hospital! I know I will! He is definitely one of the best! Very happy for Richmond County Hospice as they are blessed to have him!